Stamp Issuing for the upcoming summer semester will start on 1st April 2019. Course bookings are available as of 8th April 2019, depending on the course. No training in the Gisela-Gymnasium! From now on we're not only on facebook and youtube but also on instagram. Follow us under www.instagram.com/zhs_muenchen and always stay up to date with all of the news about our facilities and sports programs. 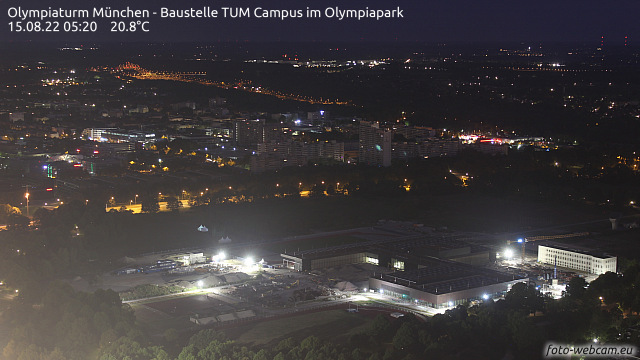 Until 2022 the ZHS sports facilities at TUM Campus in Olympiapark will be replaced by a new, modern building step by step. Follow the construction progress live from the perspective of the Olympiaturm. You can find all deadlines here. The doors in the sports halls can be opened for ventilation, but not be used as entrance or exit! Entering the construction site is strictly prohibited! ATTENTION: New access regulation to ZHS gym halls. See latest Campus layout here!